As the war in the Middle East winds down and U.S. troops come home, there is anxiety on all sides. Veterans are concerned about making the transition – mentally, physically, and emotionally. They wonder if they have the right skills to get a job in the civilian world. They wonder if they can make ends meet and take care of their families. And most of all, they wonder if they will be accepted. Civilians are concerned about the upcoming deluge of returning soldiers. Reports of post-traumatic stress disorder (PTSD) are on the rise. How will they assimilate into our communities? Can the work force, already hurt by the recession, absorb even more unemployed men and women? We were recently in Upstate New York speaking at Syracuse University to the Entrepreneurship Bootcamp for Veterans with Disabilities and their Families (EBV-F). During our visit we heard about a new and exciting project called Clear Path for Veterans, founded in 2011, that provides veterans and their families with support services to help them successfully reintegrate into civilian life. We were hosted onsite by Melissa Spicer, President and Co-Founder, with whom we spent a lovely afternoon learning more about Clear Path. Melissa, a successful entrepreneur in her own right, has created and sold many businesses. She has demonstrated a level of risk tolerance envied by even the most seasoned entrepreneurs. But now she has literally bet the farm on a new type of enterprise, a non-profit social enterprise. She believes that the right environment, services, and community support can provide the bridge veterans and the community needs to work and live together to their mutual benefit. Located on a beautifully forested hilltop, with bucolic panoramic views, the setting is peaceful and calming. A graciously rustic lodge provides the heart of the estate surrounded by gardens, strawberry farms, dog training facilities and a 9-hole golf course. Inside the main lodge are classrooms, project rooms, training facilities, with a lounge, library, dining hall and kitchen. Much of the work is done by volunteers and all of it is supported by donations. And as much as it seems Clear Path should be a government project, it isn’t. What about the USO? It’s mainly a lounge in airports these days. Clear Path is really a first of its kind “transition facility” where the community can come to buy products and services produced by the vets, and vets can decompress and receive the training and connections they need to get on with their lives. More importantly, it’s a place where the vets can experience support groups, learn skills needed in civilian life, and meet, get hired by, and return to the community. Clear Path is strategically located within an hour of several military facilities and on the northern outskirts of the greater Syracuse metro area. This enables easy access by the vets and immediate adjacency to customers, housing and jobs. The center currently offers a Dog2Vets Program, an Outreach Program (for employment, legal, housing and other assistance), a Wellness Program including complimentary alternative medicine, a Wingman Program that provides peer support to “navigate” the civilian system, a Recreational Program which offers a wide variety of outdoor sports (including hiking, picnicking, horse shoes, basketball and golf), and a Culinary Program that offers lunch and culinary training. All of these offerings along with many other services are free to the veterans. We discussed several future initiatives with Melissa, including speakers from the local business community to enlighten and encourage the vets and provide vital connections, a new green house project to provide fresh vegetables during the winter to local restaurants, and a residential volunteer initiative to provide immediate temporary housing for vets who volunteer to help out at the center. Melissa was the initial investor and catalyst for the Clear Path concept in Upstate New York, but her vision is much larger. She views this as a pilot project to develop best practices and create a model for other communities throughout the country. 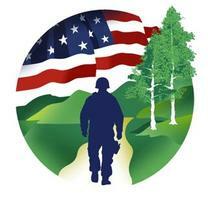 Do you need a Clear Path for Veterans in your community? For more information, check out www.clearpathforvets.com .